Sesshin means "touching the heart/mind". Since the time of the Buddha practitioners have gathered in community during the rainy season to deepen their practice and touch the true nature of Mind. Please join guiding our teacher Zoketsu Norman Fischer and resident teachers Myoshin Kate McCandless and Shinmon Michael Newton for this six-day residential retreat on the shores of pristine Loon Lake. For more information on our teachers click Teachers. Please register by Oct. 24, so we can order food for the retreat, and make room assignments. This year's fees reflect the first fee increase by Loon Lake Camp in many years, as well as increases in food costs and airfare for the teacher. Thank you for your understanding. Donations to the Reduced Fee Fund, supporting those on a limited income, can be made below or at the retreat. We ask that half-time attendees arrive only at the beginning of the retreat or by noon on Tuesday, Nov. 10 (in time for lunch). If you have never attended a Zen sesshin and can only attend half-time please plan on coming for the first half of the retreat so that you can be there for the orientation and oryoki training. Loon Lake Camp, Maple Ridge, B.C. 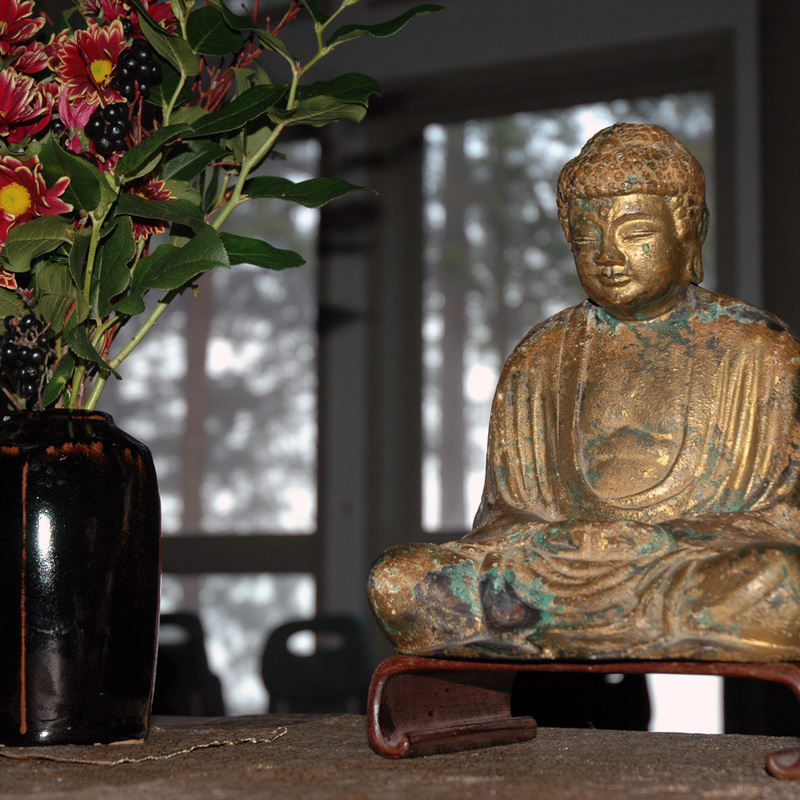 The Mountain Rain Scholarship Fund makes it possible for those on a limited income to participate in our retreats. Please consider making a donation. This requires a separate transaction. Tax receipts will be issued at year-end. Thank you!